Coconut Lane have such a lovely selection of items ranging from notebooks, to cushions and even jewelry! 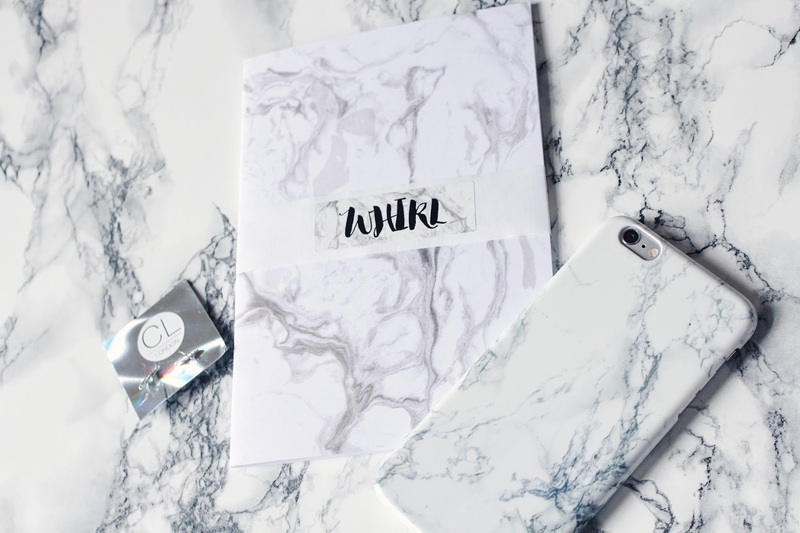 I decided that I would love to receive the gorgeous Marble Case (which is fab because you can get it for all of I phone 5, 5S, 6, 6S, 6 Plus and Samsung Galaxy S6), the Feather Earrings and the Whirl Notebook. All 3 items arrived and I was so so pleased with how lovely they all were. The Notebook is perfect for jotting blog ideas down in and the earrings are so so pretty and dainty! The phone case has been practically glued to my phone ever since it arrived and I've had soooo many compliments on it. They've kindly given Me and you guys a 20% off discount code to use (how fabbb! ), so if you want to treat yourself to something you can simply just use 'holly20' and voila! Let me know if any of you guys buy anything with the code - I'd love to hear what you chose! I also loooove marble print, these pieces look so nice! I love anything marble. I am so obsessed with it and makes your photos look so pretty, what a really nive shop.